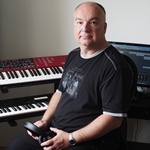 Nord User Forum - View topic - New modern/ambient patch set for download free! I´ve reworked all my patches to a more modern, more ambient set. FX is set for ambient songs, so you´ll have to reduce for your needs. The standard sounds are still available at folder "Standard Sounds"
Re: New modern/ambient patch set for download free! Thank you very much, Herbert! Great collection! 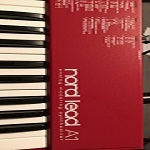 NE5D, NLA1, BS2, Boog, TX81Z, JV-1080, A33, AX-Synth, PC3K6, M350, BeatstepP. etc. now I found the time to download and use all your sounds. As I told you last time, I like your sounds and your work so much. Evything is so useful for me. I want to thank you so much! By the way: The A 1 is one the best instruments I ever bought. Every time I use it I am impressed of everything. First I thought the keybed is too bad. But the more I use it, the more I like it.